Disable Ad Blocker Script For Bloggers - XpertShout Yayın bulunmaktadır. 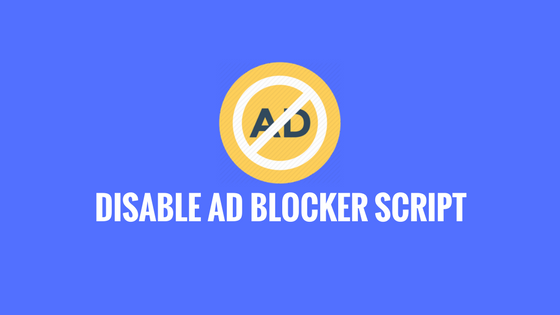 Install Disable Ad Blocker Script For Bloggers in few seconds. We know that every blogger make a blog to earn money and the only source of earning money is by displaying ads. From which you can earn more money as you can if users click on them. But now a days users use many browsers like Chrome, Opera, Mozilla, UC browser etc. Now these browser offering ad blocker for great users experience. So ads will not shown up on blog if ad blocker is on. So, for this purpose i made a script for bloggers that will not give access visitors until they turn off the ad blocker. I personally using this script. This script will help more to earn money. You have to go to Layout. Then click on Add Gadget. Insert script there and click on save.